Professors are constantly searching for innovative ways to engage their students. 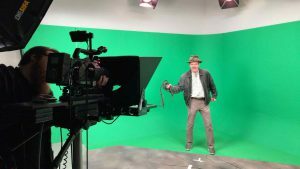 Judaic Studies professor Dr. Ken Hanson is leading the charge with courses that use cinematic productions and interactive video games to bridge the gap between the past and present. Hanson was the 2017 recipient of the Chuck D. Dziuban Award for Excellence in online Teaching. The award recognizes one outstanding UCF faculty member who has recently taught a “High Quality” online course. Recipients can only be chosen for the award once every three years. Each year, award-winning faculty members select one winner and two honorable mentions. Hanson was named one of two honorable mentions for 2018. “Our job is to inspire young people as much as it is about delivering information,” said Hanson. A number of UCF courses are completely online, giving students the flexibility to take courses on their own schedule. At the same time, taking an online course can often mean that face-to-face time between students and professors is often minimal and introduction to course material often takes form in the shape of static PowerPoint presentations. videos throughout online courses to increase engagement, Hanson takes it one step further. 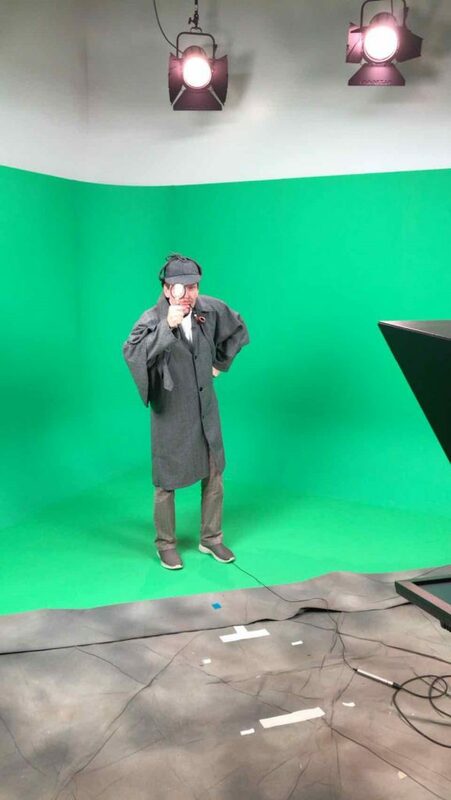 Throughout his courses, he uses green screen productions and theatrics to create episodes that Hanson calls video textbooks. Hanson studied history at the University of Illinois at Chicago. After two years in the U.S. Army, he finished his undergraduate degree in Israel and returned to the U.S. to complete his master’s degree in international/intercultural communication and television before being sent to a television broadcast and newsgathering station in south Lebanon. Fast forward to 2018 and Hanson is now as an award-winning Judaic Studies professor at UCF. Hanson approaches his courses with the objective of presenting timeless information and historical narratives in a way that’s never been done before, while also making the learning experience more enjoyable for his students. Each episode stars Hanson himself as he portrays notable historical figures throughout critical moments in Jewish history. The episodes themselves are creatively written and entertaining while also being entirely educational. By the end of this semester, Hanson’s Biblical Archaeology course will also venture into the world of educational video games. His Judaic Studies courses will feature an original, educational video game that’s the product of graduate students at UCF’s Florida Interactive Entertainment Academy and Hanson’s passion to encourage student engagement. “My dream is to make this so much fun you don’t realize it’s educational,” said Hanson.